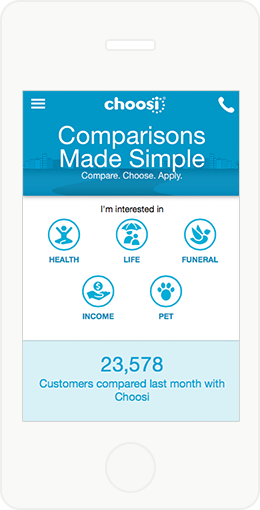 Choosi is a free insurance comparison service that enables Australian customers to compare health, life, income, pet and funeral insurance. In 2014, we worked with digital agency, Pusher, to upgrade the management system (CMS) that underpins Choosi's website. 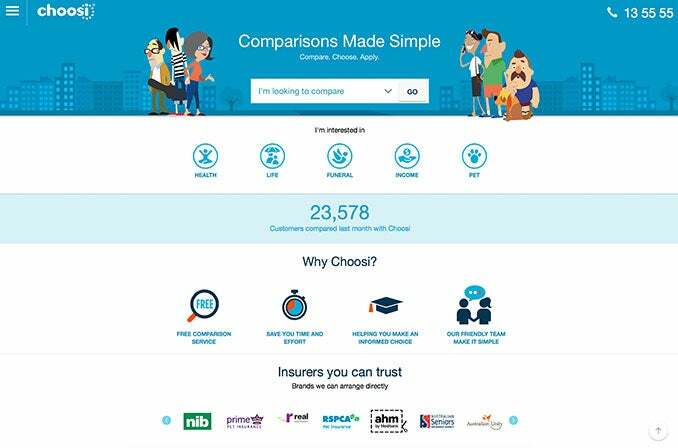 As Choosi conducts the majority of their business online - enabling customers to easily compare, choose and apply for insurance, It's vital that Choosi provides up-to-the-minute, accurate information to customers. To help them achieve this, in the most secure way possible, we upgraded Choosi to the latest version of the Kentico CMS. This involved replicating and improving the document types, maintainability and structure of their legacy CMS. The new solution pulls data from web API and WCF services to enable Choosi to display up-to-the-minute information to users. It also integrates with Choosi's internal CRM systems, to enable stronger and more immediate integration with customers. The new Kentico CMS also gives Choosi's own content editors far greater control over the look and feel of the website, and delivers a consistent web experience regardless of the device it's being viewed on.